Lately, I have noticed an unfortunate trend in our society–-so many people are eager to say something cruel, harsh, negative, or controversial. They want to be the first to gossip about, make fun of, or criticize others and their decisions. Especially with the ability to hide behind a social media profile, people are saying anything that comes to their minds. It is definitely a trend that I do NOT want to be a part of. When I think about the Savior, I think of all the good and kind things He had to say. He taught truth and lived truth. He kept His mouth shut at times, reprimanded in love at other times, but mostly told people how much He loved them and desired for them to return to live with Heavenly Father. Christ spoke with charity, setting an example for us to do the same. You may never know how much good you will do by sharing a kind and loving word. But I can almost assure you that you won’t ever regret choosing loving words over unkind words. This golden ruler is intended to remind your students to be Kind to others by reminding them to “do unto others as you would have them do unto you”. A supplement to the Sharing Time July week 2 2012 idea. 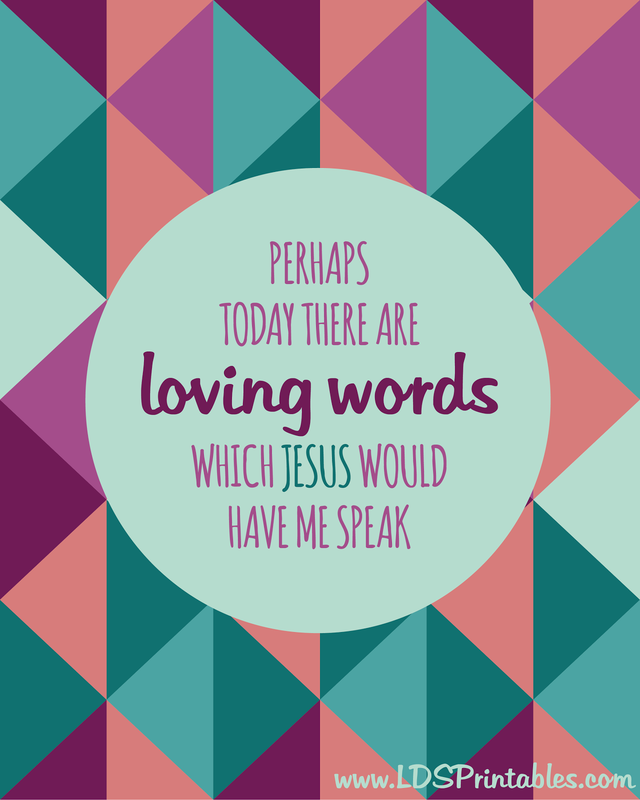 Make Your Words Soft and Sweet…. I created this image to go with YW Manual 2 Lesson 8, though it could be used for a number of situations. The image is a stock photo from iStockPhoto.com. 2 per page, 8.5 x 11 inches, color.